Hey gang … Natalie here with a fun, scribbly, watercolor inspired scrapbook page using a few fabulous colors from the Lindy’s August Color Challenge. Back in March, my bestie Fiona and I were in Queensland to teach a workshop, my sweet friend Alison said we had a little time up our sleeve so she took us shopping to the Factory Outlets. We had the best day, shopping, coffee, shopping, laughing … did I mention shopping? Anyway, we walked out of the shopping center and it was raining, I mean really raining, torrential rain in fact – we stood and watched for 5 minutes realized it wasn’t clearing and had to make a run for it to get the car, in the space of maybe 100 meters we got drenched – wet through to our underwear, it was hysterical!! This photo sums up exactly how we felt about it! So how to scrap it? It really needed to be a drippy style page – kinda like our hair! 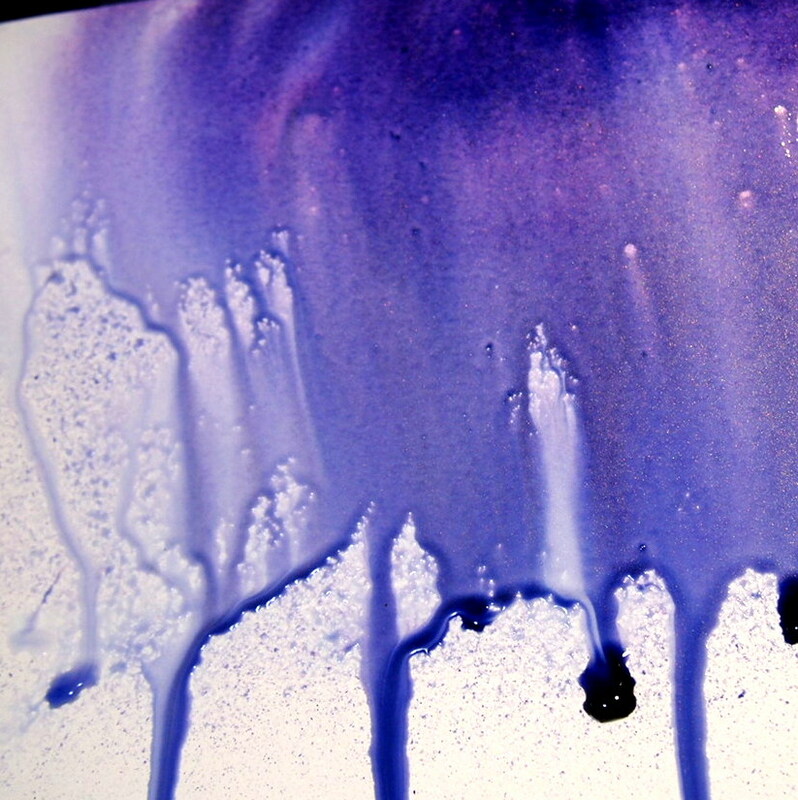 Lightly mist water onto the cardstock then spray Voodoo Violet Blue and allow to drip down the page. Now repeat with Whale Watch Blue and allow to also drip down the page – add a little water to help the drip process if you need. Once completely dry, add some splatters of Chateau Rose and dry with a heat tool. Last, add some scribbly black ink and stamping to finish off. The color is simply stunning! 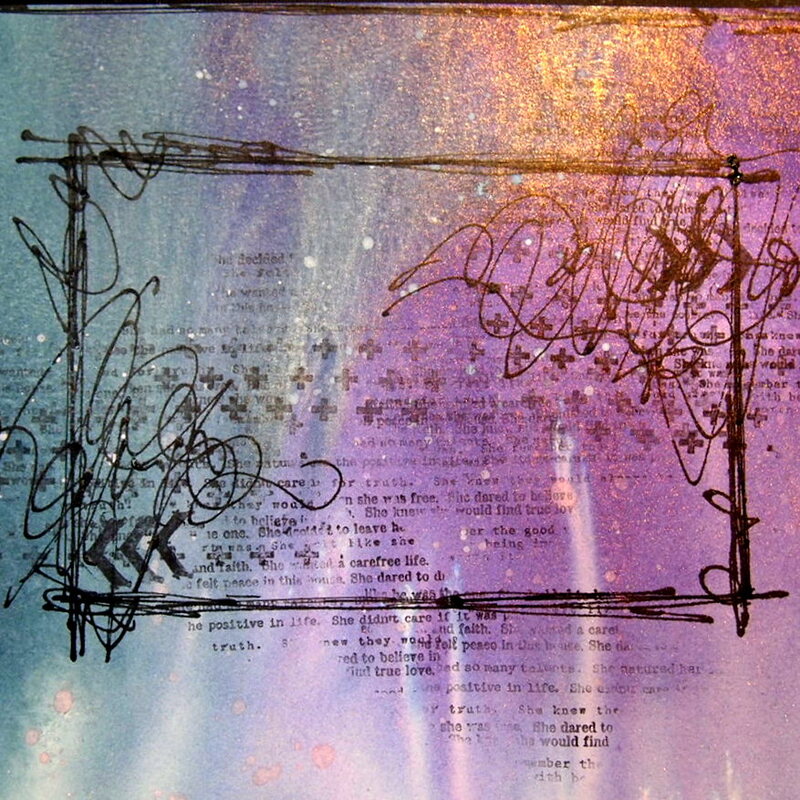 Here are a few close ups of the page, so you can see the fabulous drippy watercolor effect for yourself! Just look at that amazing shimmery mica effects from the Starburst sprays!